The entrance display, taken during installation of the exhibit. The design of the entrance display showing the triptych against the gray background and possible locations of brochure holders. A rendering of the entrance display. 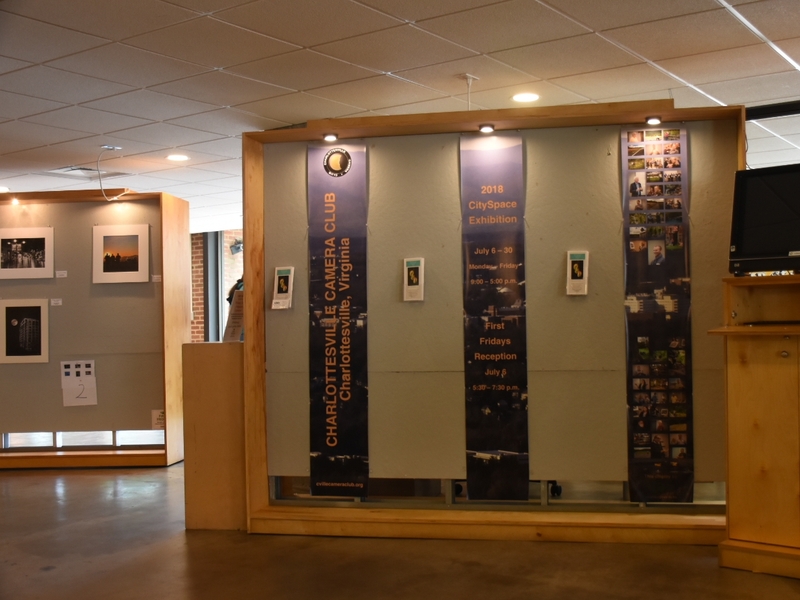 Entrance display for the Charlottesville Camera Club's 2018 CitySpace Exhibit. 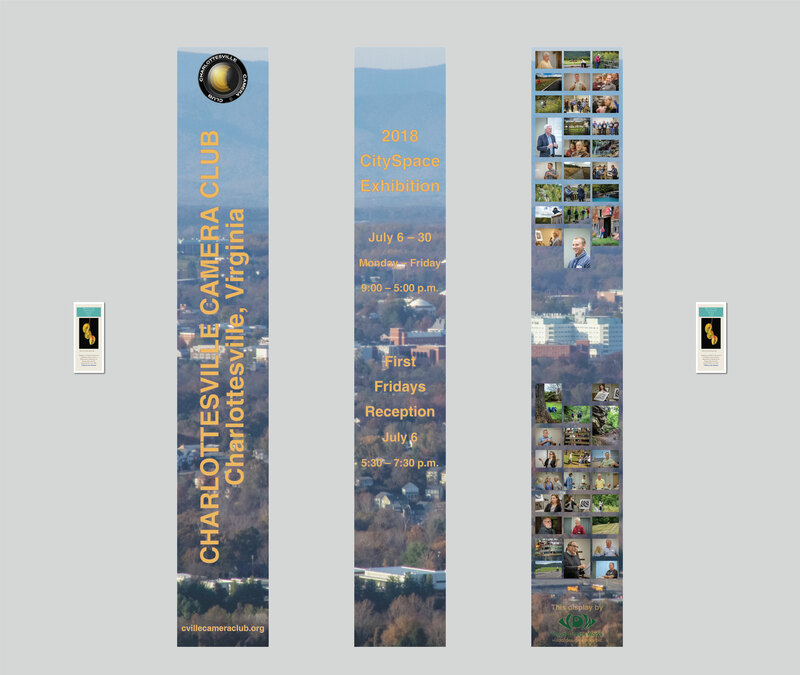 Features a background photo of the city of Charlottesville taken from Carter Mountain Orchard. Also features photos, provided by the club, taken during some of the CCC's various activities. 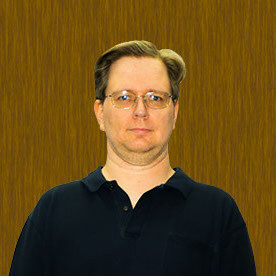 The display was presented rendered into the intended environment for proofing purposes. 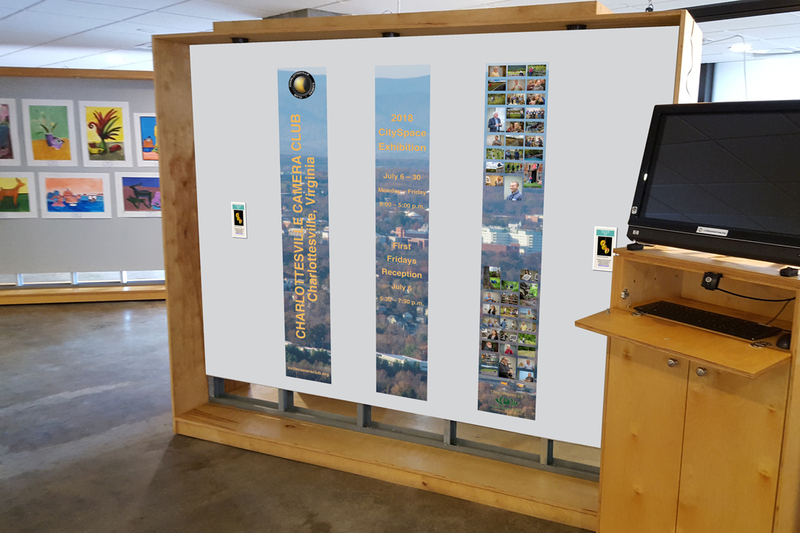 Display graphics and signage for the Charlottesville Camera Club's 2018 CitySpace Exhibition.